A dry-mix that chemically sets and dries brick hard, this cement is perfect for casting into custom designs, as it will hold its shape while drying. It can even be used as the sole material when casting a solid stove bed or outdoor oven. 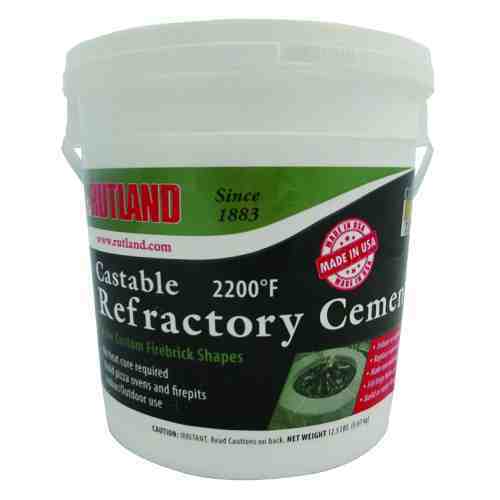 Exceptionally strong and also works to fill large holes or cracks in masonry, replacing mortar, and for tuck-pointing. Approx. Coverage: 25 pounds will cast a 12" x 24" x 1 1/2" section. Also avaialable in 12.5 lb. container, item #8046.